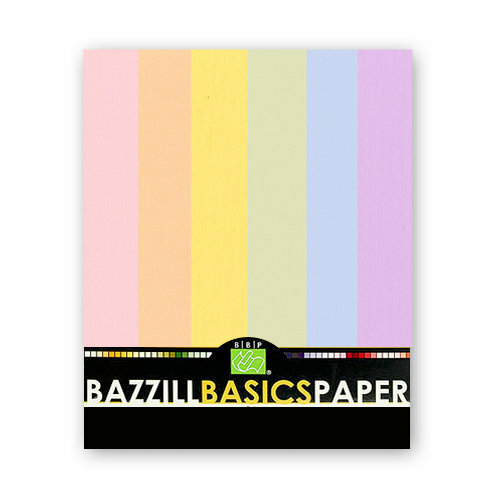 Bazzill Basics Cardstock colors are blooming in Emma, Peach Glow, Lemonade, Aloe Vera, Bubble Blue, and Wisteria. Six petal-soft colors help your photographs spring to life. Each pack contains 5 sheets of each color, 30 sheets in all All cardstock is acid and lignin free Note: Colors on the Web are restricted. True paper color is much better.